A full description of the course content and assessments can be found via the Allens Training Pty Ltd website. Click here for more information. Some industries require refresher courses in Anaphylaxis management more regularly. Please refer to your specific industry requirements for more information. Resus Ready First Aid Training is partnered with Allens Training Pty Ltd RTO #90909 to provide Nationally Recognised Certification. Training in this course meets industry standards and successful completion of this course will lead to a nationally recognised statement of attainment. 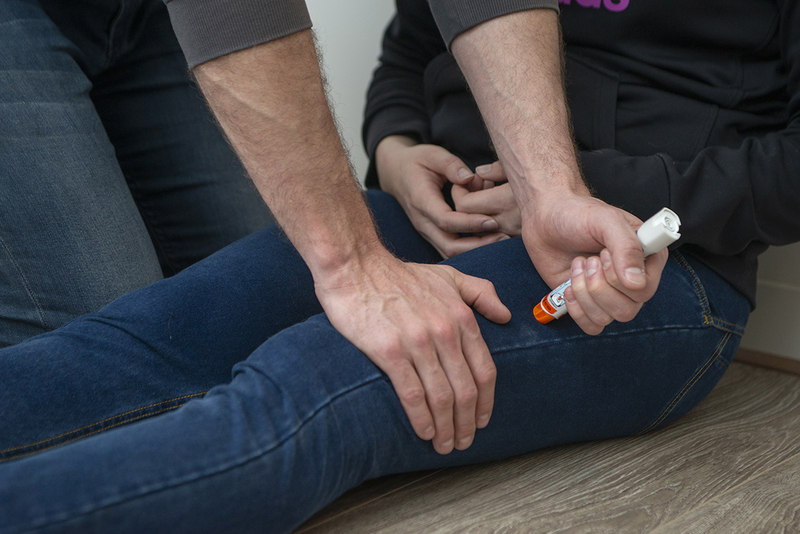 Resus Ready First Aid Training offers onsite first aid training for your business, organisation or group. We pride ourselves on delivering quality training while minimising disruption to your workflow. We offer flexible training times and combined courses to suit your needs. Contact Us now to book your training session, combine courses or for any general enquiries.